Welcome in this new year AND month with a new desktop for your computer. 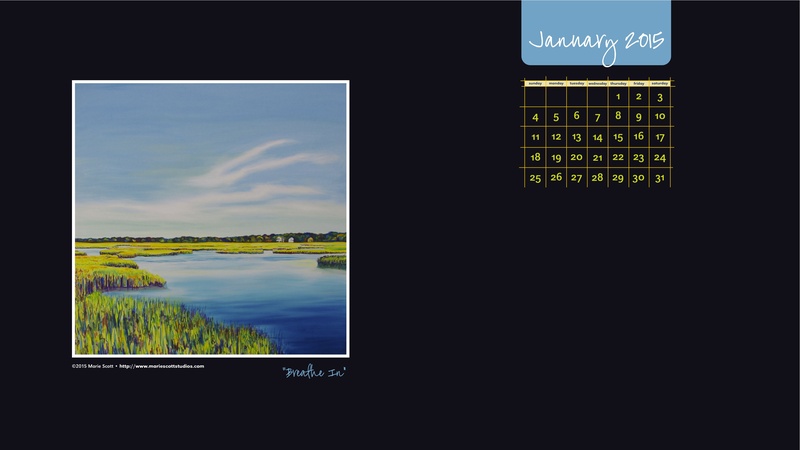 BREATHE IN (w/black background) • ©2015 Marie Scott • Enjoy this free computer desktop calendar during the month of January. Now that I think about it — it’s the ONLY Sunflower I have ever painted without a home this holiday season. That is rather sad for this one lonely, yet friendly and well-behaved original oil painting. 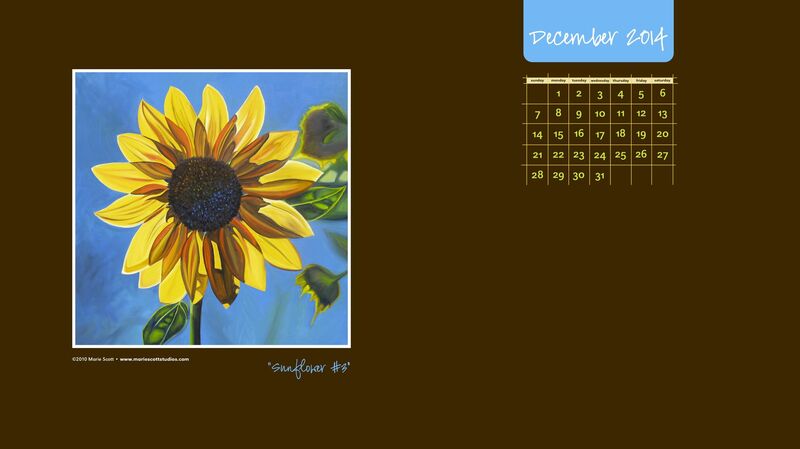 To see the entire gallery of my paintings, check out my online gallery at www.mariescottstudios.com OR stop in and visit my real life gallery located inside my Sunflower shop. To see a few photos of this painting in progress, click here.